The men of FBC are a force in the church. They provide service in a multitude of ways yet they also have times of fun; like golf outings, fishing, men’s outreach, etc. We have two different groups of ladies ministries; ABW and L.I.G.H.T.S. These women are always seeking out ways to connect with the community and to grow in their faith and love for God. Food Pantry Ministry - We are pleased to be the host of the food pantry for the area churches. 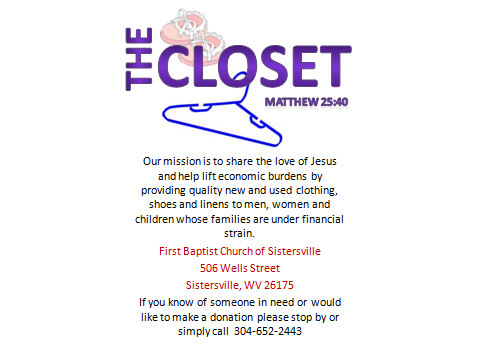 If you are in need of food, or know someone who is, please feel free to call the church office to find how we can help.